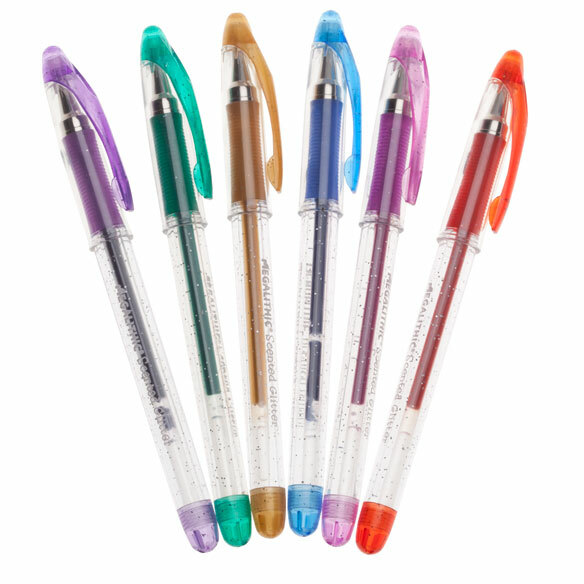 You'll love putting ink to paper with these scented glitter gel pens. They're perfect for writing, doodling, drawing, scrapbooking and crafts, journaling, addressing greeting cards and other creative pursuits. 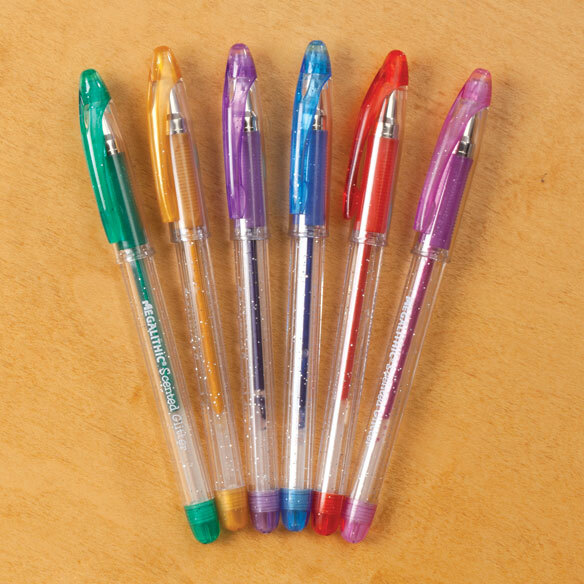 Set of 6 colored pens includes red, green, blue, purple, pink and gold. Set of 6 glitter pens makes a great gift. Each pen measures 5 1/2"L.
I use them to color with. And, they are fun to write in my journal, a different color each day. They are a little hard to find in my small town, so I was glad to find them. Don't bleed through to next page. Keeps children busy on rainy days. They are inspired to use their imagination. I bought this for my daughter, who loves art ?? nice glitter pens! I chose these to use with the coloring books I bought. I will color pretty pictures with scented pens. My world will look and smell sweet. Like the outcome with the glitter pens. However, out of six sets purchased about 10 of the pens were dry and did not work. I have adult coloring books and cards and I would like to play by using the scented coloring pens. Have ordered adult coloring book and will be using these for those coloring books.